We are a leading edge technology company offering design, engineering and manufacturing for smart cables and molded interconnects such as SMT/ML PCBs, bio-medical devices, sensors and switches for various applications. We custom manufacture a full spectrum of specialty cables for the Medical, Electronics, Automotive, Telecom, Mil Spec, Military, Robotics, Instrumentation, Audio, Marine and Industrial markets. We have a deep level of expertise in custom overmolding printed circuit board (PCB) assemblies, as well as overmolding other sensitive electronics. 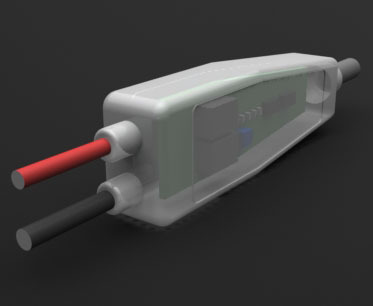 Embedded circuitry within molded cable assemblies is a smart manufacturing solution, which often results in improved strain and flex relief, as well as lower overall costs. An alternative to more costly potting and low pressure injection molding, over-molding electronic circuitry is a specialty field that requires an integrated approach encompassing the entire process, from electronics and board level design considerations, through the final assembly and test procedures. Unique track record on Specialty Products for the OEM Market, BioMedical Research Institutes, Universities, Experimental Labs, etc. Our state of the art insert molding capabilities include the most advanced molding equipment as well as digital controls to ensure perfect consistency in the molding process. 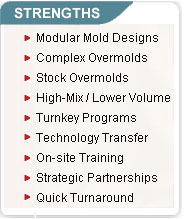 We can overmold over protected circuits and enclosures, or directly over an open device. 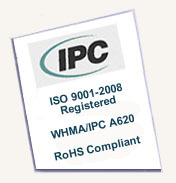 Products such as overmolded printed circuit boards, patient monitoring cables & devices, switches and sensors are just a few of our most requested items. 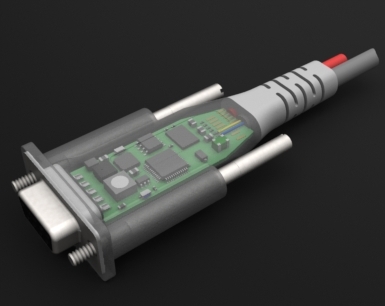 Our capabilities are unique and allow us to handle the broadest variety of designs, connectors, embedded electronics types, as well as manufacturing volumes.